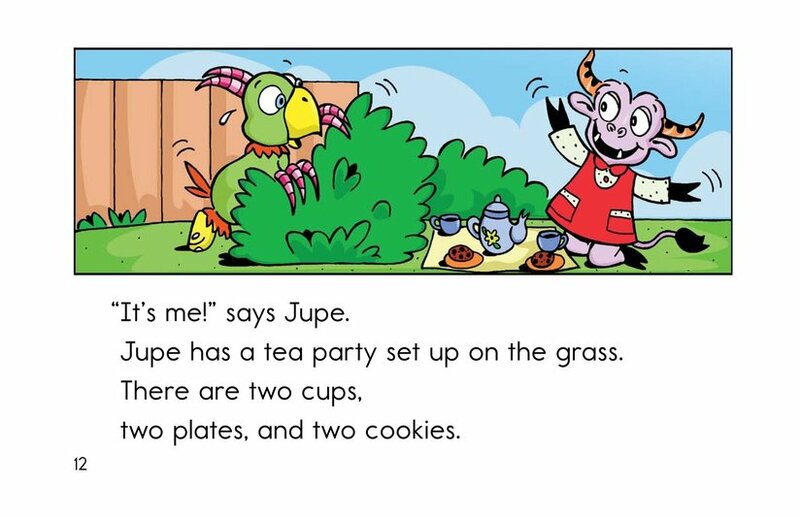 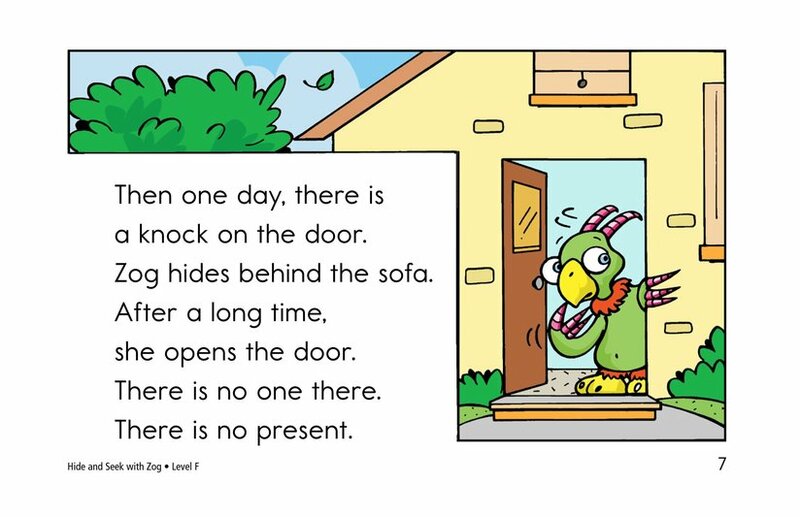 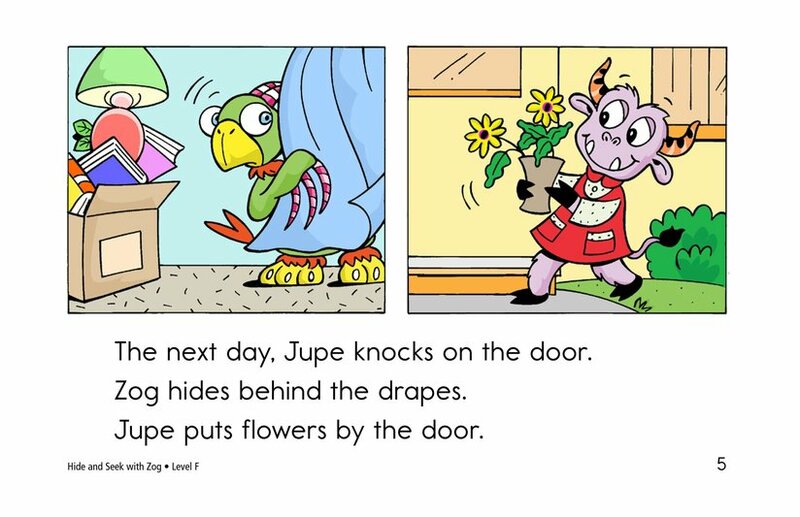 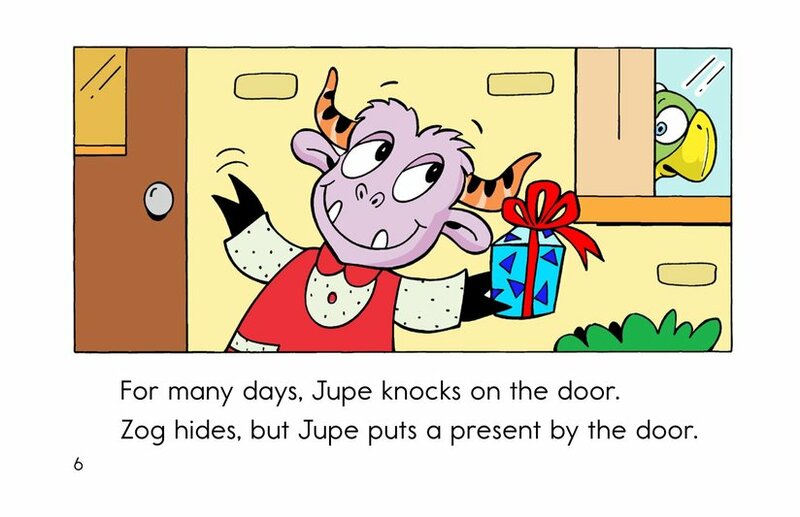 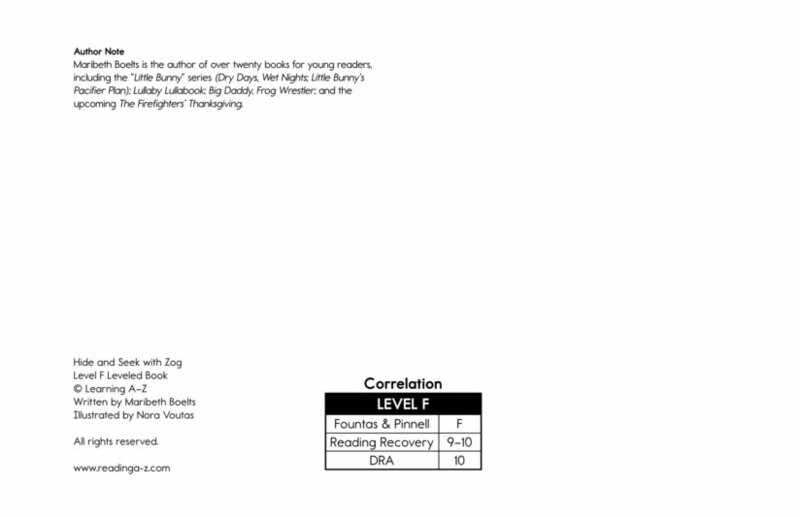 In this delightful Monsters story, a shy new monster moves in next door to Jupe. 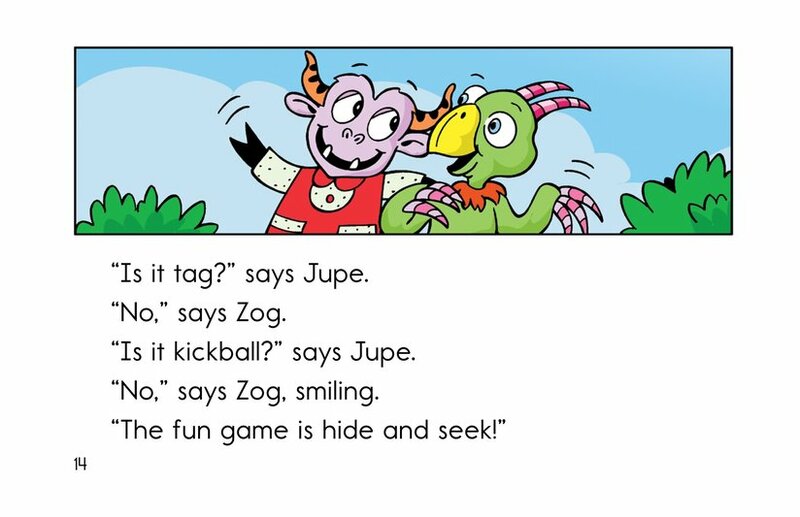 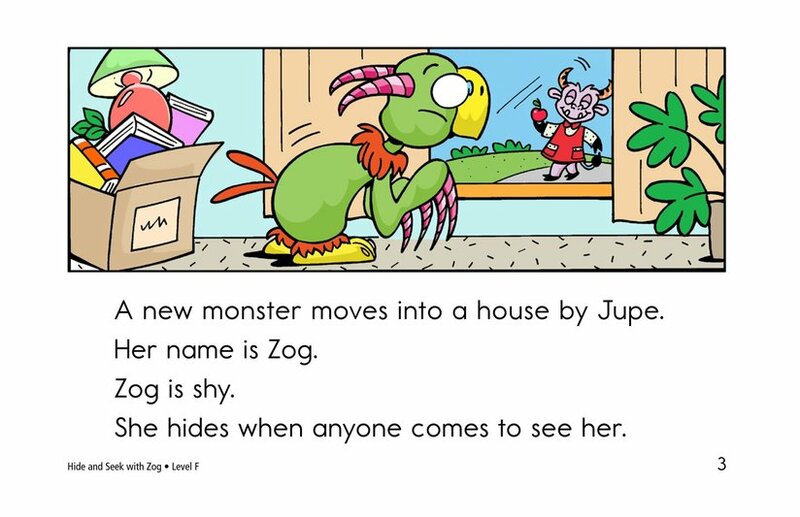 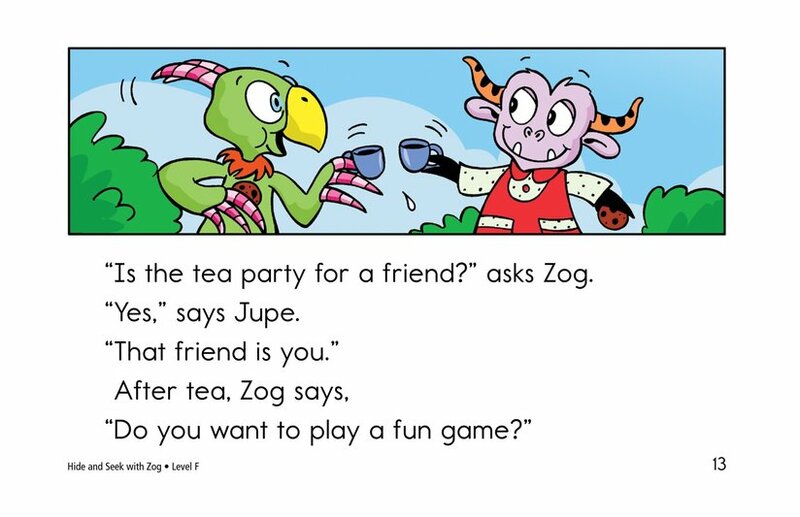 Despite Jupe's attempts to bring her out of her hiding places, Zog is just too shy. 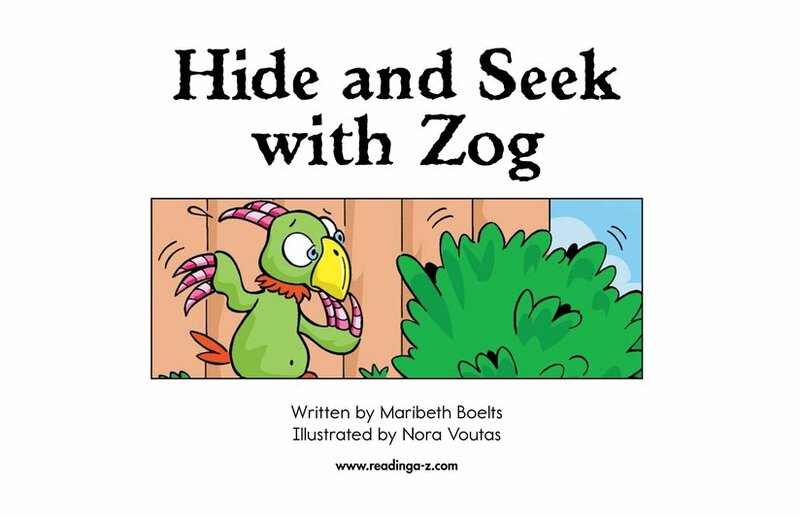 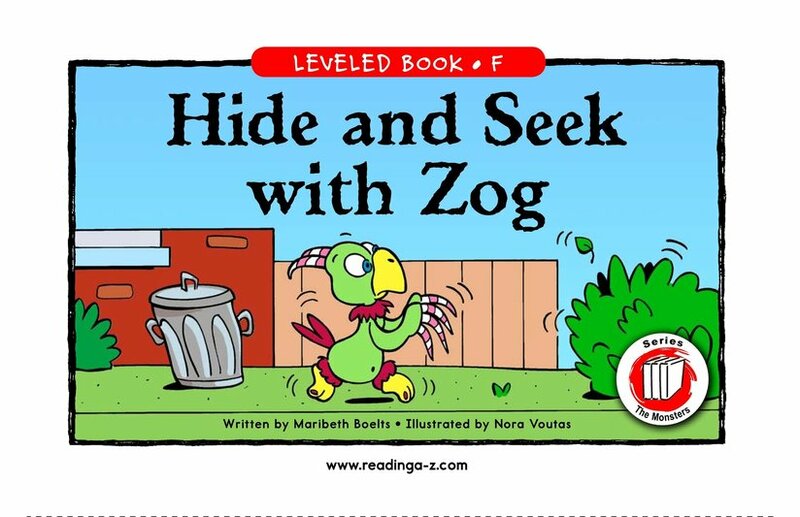 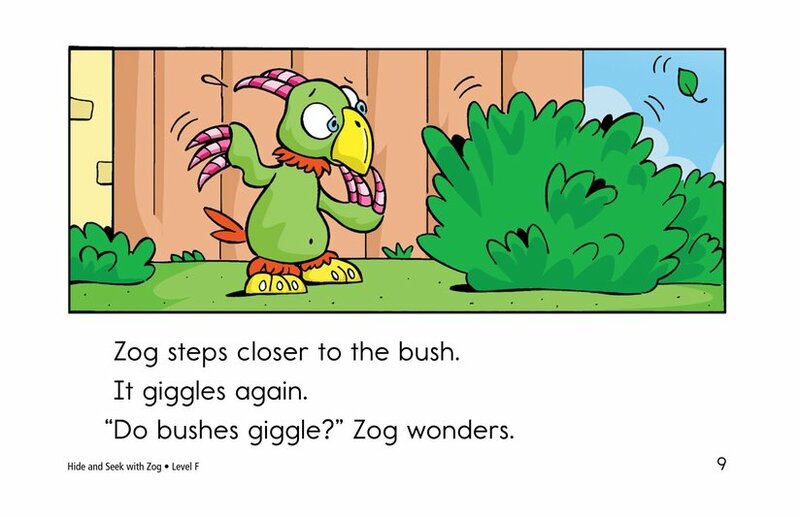 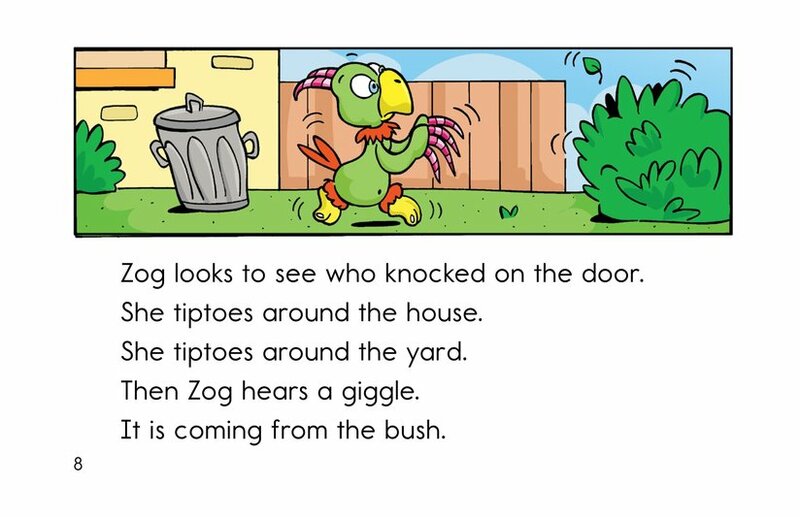 But when there's a knock on the door, a tea party waiting on the lawn, and a giggle coming from behind the bush, Zog overcomes her fears.